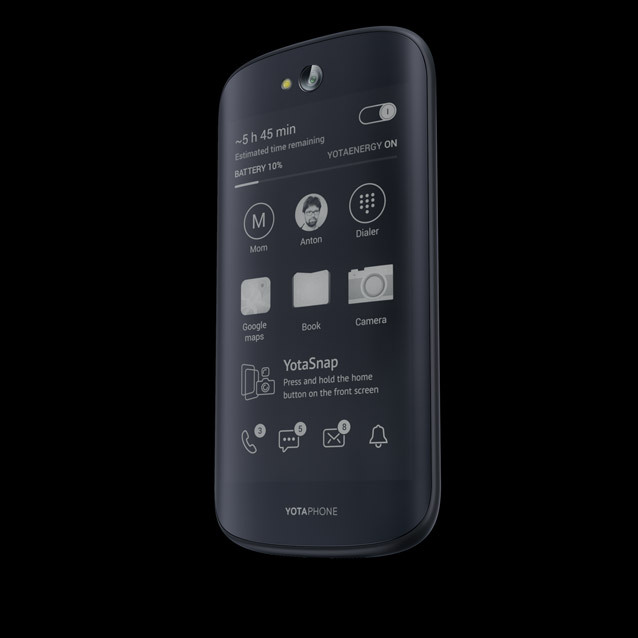 Model: The YotaPhone 2 is the world's first double screen smartphone that uses an e-ink technology to display important information at the back of the phone. 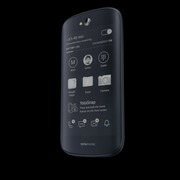 This surprising capability might be a winning combination with the smartphone's elegant design. 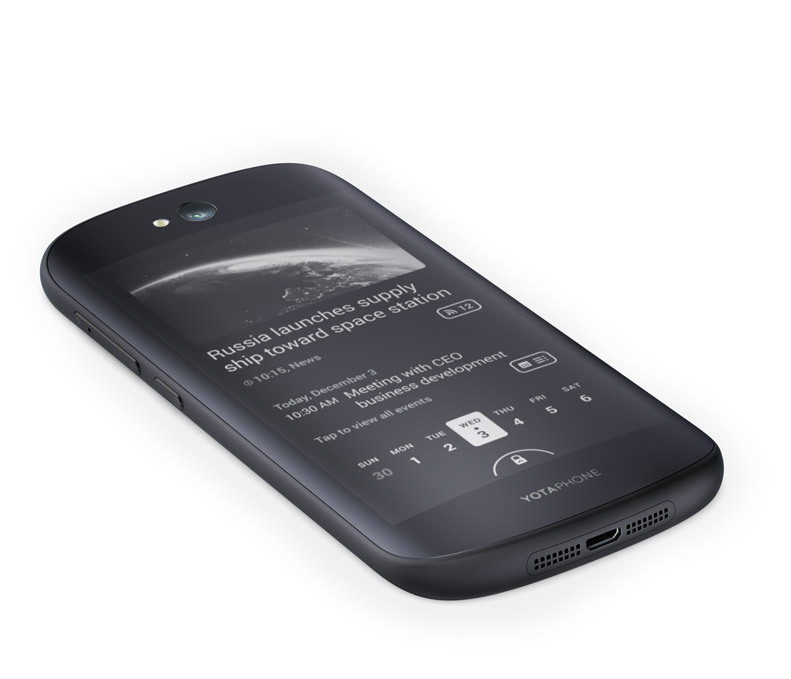 The YotaPhone 2 is curved almost like a pebble to nicely fit in the user hand. 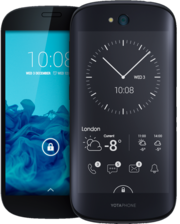 The entire device comes in black and has a minimalistic look only to be accented with the modern e-ink greyscale back display. The Android 4.4 KitKat comes with a Qualcomm Snapdragon 800 quad-core processor clocked at 2.2 GHz, 2 GB RAM and an internal memory of 32 GB making it a very capable modern device. 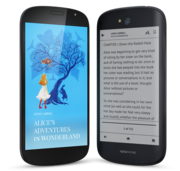 The main display is a 5 inch AMOLED Full HD panel rated at 442 ppi and the 16-level grayscale Electronic Paper Display on the rear side is 4.7 inch. Both screens are protected with Corning Gorila Glass 3 making them tough and scratch resistant. 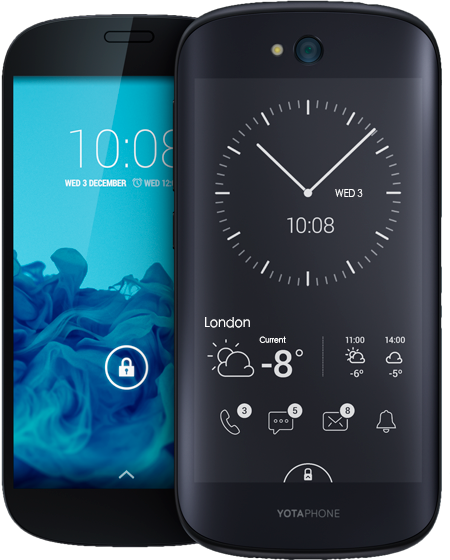 Weighing in at 145 g, the YotaPhone 2 comes with Bluetooth 4.0, FM radio, NFC and A-GPS+GLONASS. There are an 8 mega-pixel autofocus main camera located at the rear top center and a 2.1 mega-pixel front facing camera for video telecommunication. Battery life is pretty good despite having two screens with the 2500 mAh cell powering the device. 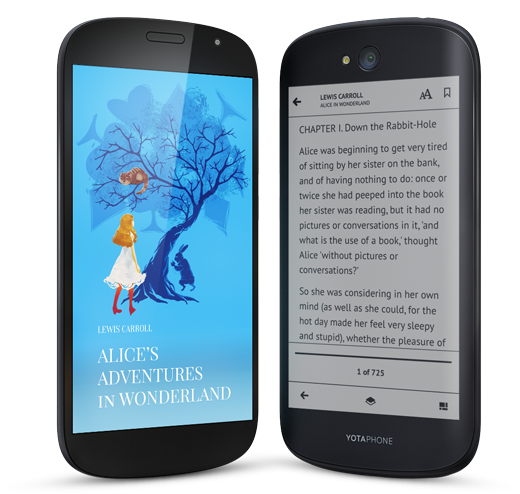 The YotaPhone 2 charges wirelessly which is a nice touch.